I just finished reading a book that fulfils the printed word's ancient dream of carrying voices to ears that need to hear them. 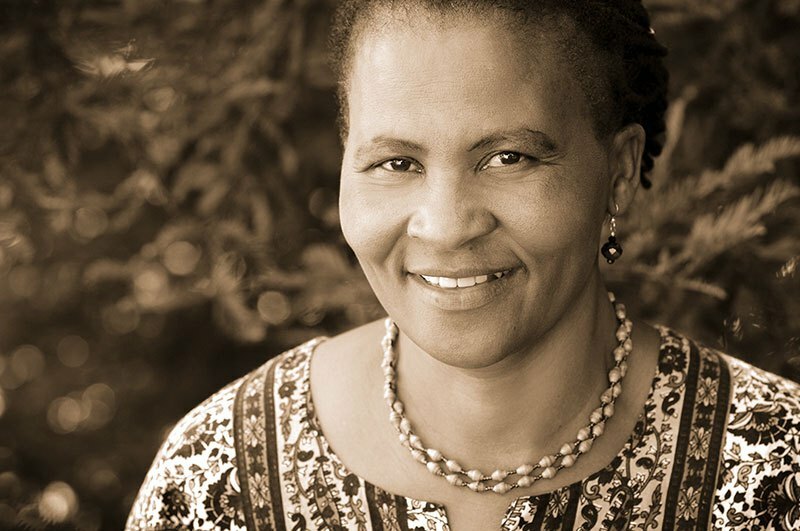 Tererai Trent's is a warm and resounding voice for women’s empowerment and quality education. Due to colonial priorities and traditional women’s roles in rural Zimbabwe (then Rhodesia), Tererai did not have the chance to go to school as a child. Undeterred, she taught herself to read and write from her brother’s schoolbooks while herding cattle. Despite being married young and bearing four children by the time she was eighteen, her determination took her all the way to earning a PhD from the College of Public Health at Western Michigan University, on HIV prevention in Sub-Saharan Africa with a special focus on women and girls. Dr. Trent's book The Awakened Woman—Remembering & Reigniting Our Sacred Dreams won the 2018 NAACP Image Award for Outstanding Literary Work – Instructional. She is invited all over the world to share her story (including a keynote speech at the UN Global Compact Leaders Summit), and to lead the global charge for quality education for all children and women’s rights. Listen to her storytelling in her own voice (the printed word below begins around the two-minute mark). "But now the sun has set, and I am warm from the food and fire with the moon rising high in the vast night sky. Tonight there are no sounds of gunfire from those who are fighting for our independence, or from the white minority who have ruled since the late nineteenth century. And so we women and girls sit, muscles and tongues loose in the comfort of our togetherness, and, as my people have done for generations, we sing songs and tell stories, As the stories warm our hearts we momentarily forget our pain, our struggles, and the impending danger of war. We are enshrined in a circle of healing. "In the storytelling tradition of my people, stories were not told only once, but were repeated often. New details emerged with each telling and listeners caught different insights as they met old stories as different selves. The story of the Great Hunger, which I heard many different times from many different tellers, grew in me until there was no separation between the story and me. It forever ebbs and flows in my being. "'In my village,' my grandmother says, her voice radiating out into the circle, 'two sons of a very powerful man were given money to buy the best clothes and toys. Unlike many, their household could also afford plenty of delicious food. Despite a lavish lifestyle, the boys always demanded more money to satisfy their addiction to drugs and alcohol. "'One day, the father asked community elders to help him figure out how to make his sons behave more responsibly, more like other teens in the village. The elders determined that the boys were unhappy because they hungered for meaning in their lives. Surprised, the father said, 'But my sons are very happy! I make sure they have everything they want....'"
Click here to read how the story of the Great Hunger ends... and then borrow or buy the whole of this inspiring book.